Use this one anywhere in the home! The Indigo Hanging Rail in black is a practical piece of furniture that works perfectly in contemporary spaces and more traditional homes. Make a statement out of your favourite items of clothing, displaying them beautifully on this charming rail in black. The intricate design of the metal work adds subtle beauty to the piece, perfect for those hoping to achieve a classic or romantic atmosphere in the home. The hanging rail increases the amount of usable storage available in any property. The Indigo Hanging Rail in black is perfect for use in bedrooms, changing rooms and studio apartments. The ornate frame will delight anyone looking to create an elegant changing area in their bedroom or home. The Indigo Hanging Rail in black is strong and reliable, providing plenty of rail space for hanging items of clothing. Make a feature in the room by showcasing your beautiful clothes on this stunning rail. The Indigo Hanging Rail in black works well in open spaces and in rooms that would benefit from the addition of simple lines. Create the illusion of space with the hanging rail and free up the room by removing larger pieces of heavy furniture. This is a wonderful addition to the home and will help to keep any space feeling light, bright and airy. Introduce an instant piece of practical furniture that will make it easy to organise your wardrobe. Use the Indigo Hanging Rail in the bedroom or apartment and stop piles of clothes from cluttering up the space. The detailed frame ensures the Indigo Hanging Rail works beautifully in traditional settings along with more contemporary spaces. 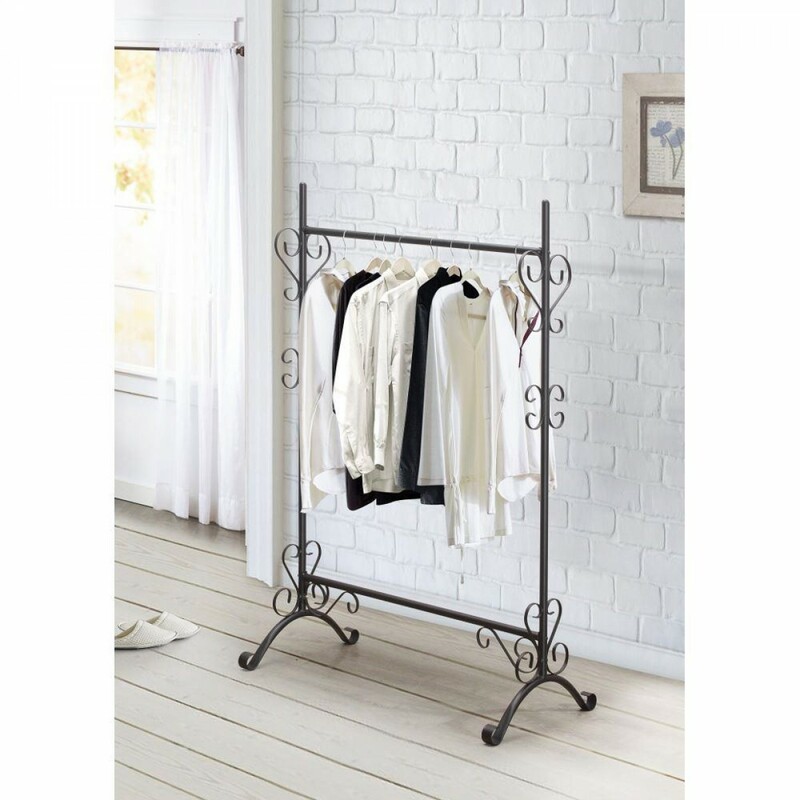 The hanging rail is perfect for storing your clothing neatly and keeping any space looking at its best.